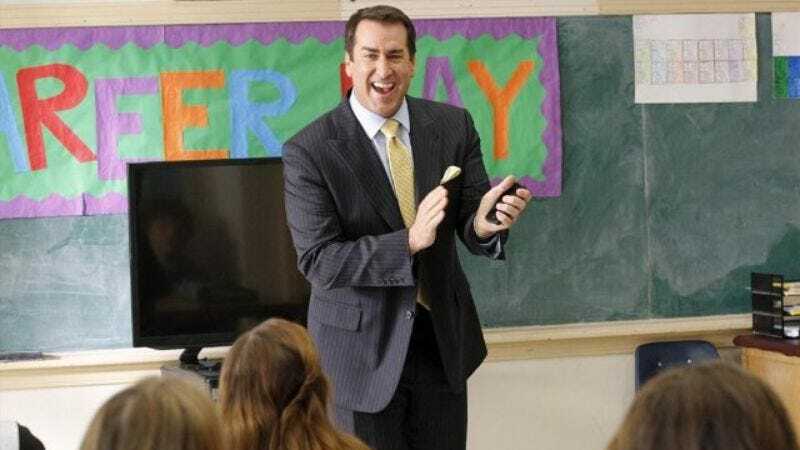 Best known for his time as a correspondent on The Daily Show and currently bringing comic relief to Fox’s NFL Sunday, Rob Riggle is finally going to try his hand at dramatic acting: Deadline reports that Riggle’s been cast as the dad in the upcoming teen romance Midnight Sun. Riggle’s Jack is the caring-but-overprotective father of Katie (Bella Thorne), a 17-year-old with a rare disease that makes her allergic to the sun. Jack “tries his best to give his daughter a good life,” but he’ll likely be displeased when a handsome teen named Charlie (Patrick Schwarzenegger) comes barreling into it.